This was a super sweet Christmas surprise I received from a lovely work colleague! 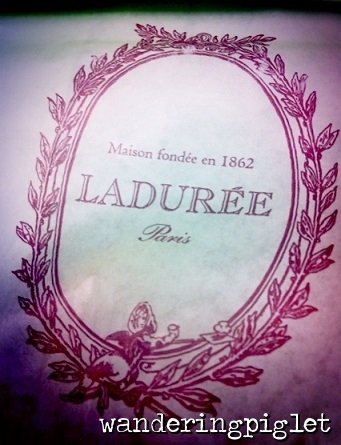 I would say these are the best macarons I have consumed. All of them, are the right balance of flavour and sweetness. Classic, simple flavours. I had the raspberry macarons first – which was lovely and light, with a raspberry jam like consistency filling but not too sweet. It has a lovely crisp shell and bursts of raspberry gel. I particularly like the texture of the raspberry seeds. 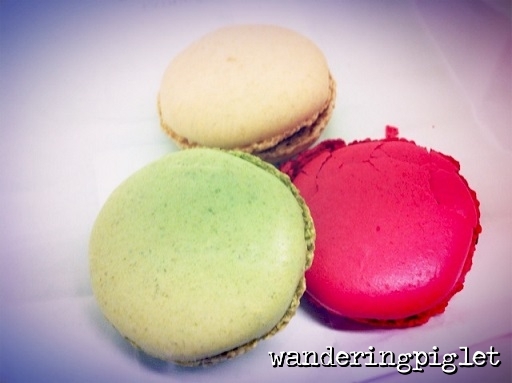 The pistachio macarons and the white m acarons were both equally lovely – crispy light shell, amazing delicate flavours.